Mr. Barrett in Arlington, Tx. who convinced his district to purchase 180 of your books for the Architectural students all across Arlington ISD. They wrote their Architectural Curriculum around Chief Architect, with YOUR book as their textbook. In 2016… they attended the TSA competition where students (high school and middle school) from all around the nation compete in various competitions, including Architectural. Mr. Barrett’s student won 1st place in Architecture that year. This summer he had another student who placed 1st in the nation. Thank you for being a part of the educational team that makes a difference in the lives of these students!!! How do you do it? 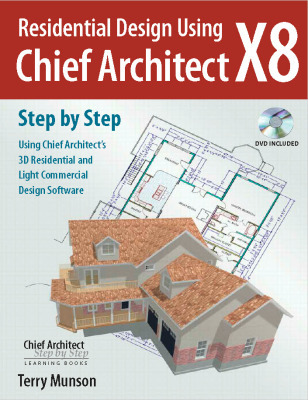 The X9 Advanced color pdf book has solutions to problems I have never attempted because I did not think Chief would complete the task. 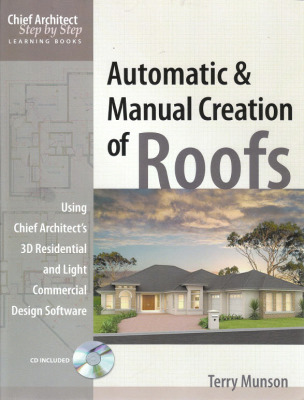 The book has your usual clear concise explanations and illustrations. Thanks for another fine Library Edition. 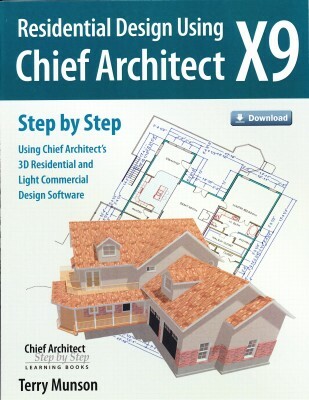 Chief Architect X8, Step by Step is the only outstanding third party comprehensive reference book for a great piece of architectural software. In addition to the 8.5 X 11 inch, 955 five well indexed pages, the well organized content allows you to quickly find the answer or procedure you are seeking. 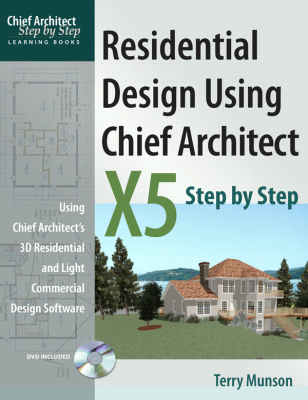 If you are not careful you may over look a treasure chest of information on the included CD: (1) Pre drawn plans to save you time and effort and let you immediately apply the task you are trying to learn, (2) CAD Overview, (3) X8 new features, (4) Model House Plans, (5) Study guides, and (6) Workbook projects. With a minimum of practice you are able to produce parametric 3D views similar to the views you see on several TV home improvement shows. The CD includes a full color version of the entire volume. 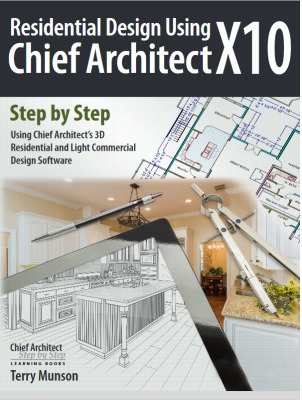 I have been using Chief Architect for several years as a retired drafting instructor and now in business drawing custom house plans. 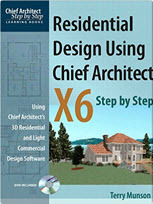 I depend on X8, Step by Step to help me solve real world design and drafting challenges. 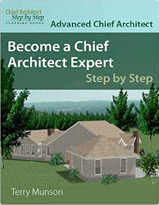 I just can’t resist your books; They’re the absolute best source of tutoring available for Chief. I have the full collection since you’ve been writing them. DP Design Script LogoDiane Plesset,CMKBD, C.A.P.S., NCIDQ D. P. Design "See the Possibilities. Create a Positive Difference"